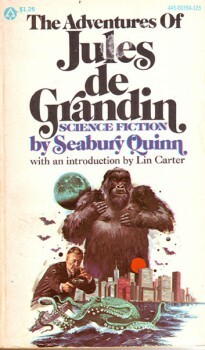 While characters like Algernon Blackwood’s John Silence or William Hope Hodgson’s Carnacki might be considered the archetypal occult detectives of the late nineteenth and early twentieth century, de Grandin is, perhaps, the primogenitor of those who came after. In de Grandin, one can see the antecedent of such later two-fisted occultists as John Thunstone, Anton Zarnak, and Titus Crow. 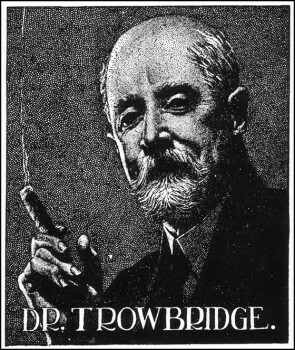 Thunstone, created by Quinn’s contemporary (and friend) Manly Wade Wellman, often cameos in the de Grandin stories and vice-versa. 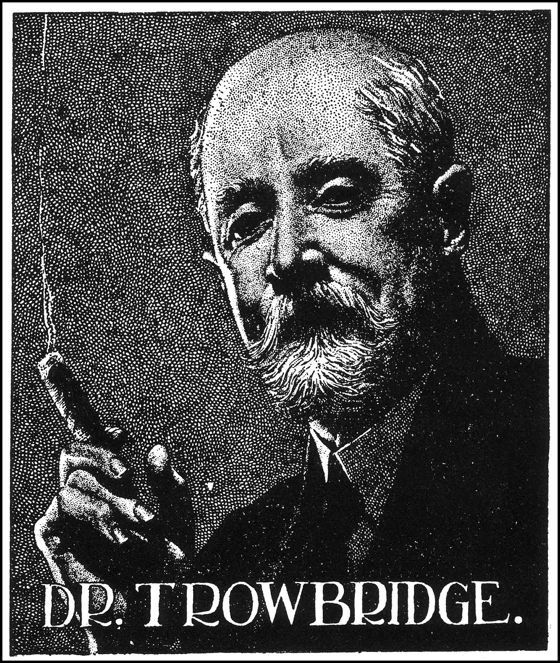 The stories themselves, told from the perspective of the redoubtable Dr. Trowbridge, owe more than a nod to Conan Doyle’s Sherlock Holmes stories, with Trowbridge being a less perspicacious stand-in for Watson. 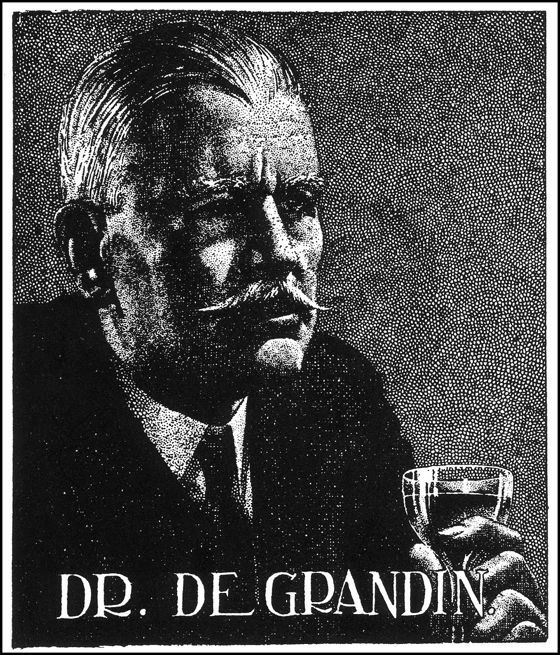 De Grandin himself, however, is less Holmes than Agatha Christie’s clever Belgian sleuth Hercule Poirot, given a pulp hero’s sheen. De Grandin, like Thunstone or Zarnak, is an active fighter of evil. He is a hunter of monsters, a buster of ghosts and a banisher of eldritch entities of all stripes and persuasions. Indeed, given what hints de Grandin drops as to his lineage, it might be that he was simply pursuing the family business. But not all of de Grandin’s opponents were of the supernatural variety—many were of a more human persuasion, though no less vile than the ghoulish Monsieur and Madame Bera of “The Children of Ubasti” (1929) or the vampiric Baron Czuczron of “The Man Who Cast No Shadow” (1927) for all that they were men, rather than monsters. For instance, in “The Isle of Missing Ships” (1926), de Grandin and Trowbridge battle a murderous pirate with a penchant for feeding his victims to a giant cephalopod. In “The Great God Pan” (1926), the duo confronts the leader of a sinister sylvan cult. And, in the horrific “The House of Horror” (1926), de Grandin discovers the lair of a mad surgeon, and the pitiful mewling things he’s made of his victims. Svengalis, trained snakes, and cultists abound in the ninety-odd stories, appearing just as much as werewolves, vampires, and witches. There were also any number of science-fictional antagonists—the ape-man of “Terror on the Links”, for example, or the eponymous psychic of “The Brain-Thief” (1930). Given his wide variety of foes, it should come as no surprise that while other occult investigators relied on hoary Atlantean wisdoms, magical blades, or the blessings of benevolent gods, de Grandin put more faith in a well-oiled automatic and a professional psychological or physical diagnosis. What bullets don’t put down, blades would, or topical ointments or electricity or even, in the case of the aforementioned giant cephalopod, poison. But the most potent weapon in de Grandin’s arsenal is perhaps his chilling ruthlessness. He is not above using the innocent to draw out whatever beast he is stalking, as he does in “The Children of Ubasti”, when he convinces a young woman into acting as bait for a pair of rapacious ghouls, or in simply gutting a helpless enemy, as he does to the human antagonist of “The Isle of Missing Ships”. There is little doubt that that ruthlessness served de Grandin well. Unlike the dour John Kirowan or the unfortunate Laban Shrewsbury, de Grandin never met an enemy he could not out-think, out-fight, or simply out-gun. His propensity for simply obliterating the supernatural menaces he faced made him a name to conjure with, in occult investigative circles. It is hard to imagine de Grandin coming up against an enemy, no matter how vile, that he could not handily defeat. But even if he did, there is no doubt that Jules de Grandin would face that enemy nonetheless, with a twinkle in his eye and an automatic pistol in his hand. Sadly, the de Grandin stories have been out of print for some time. The most common place to find some of them is in the Popular Library collections from the Seventies, starting with The Adventures of Jules de Grandin, though these can break your wallet if you’re not careful. A complete collection of EVERY de Grandin story is available in two, large coffee-table books from Battered Silicon Dispatch Box, but that’s rather pricey as well. You can also find some stories online, in their entirety, if you look hard enough, and I recommend that you do. While the stories can become formulaic, there’s no mistaking the sheer, unbridled enthusiasm that they were written with. 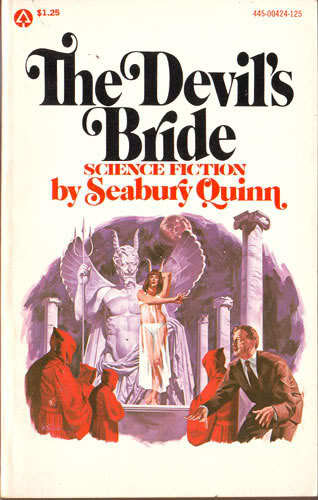 Seabury Quinn was the most popular contributor to Weird Tales in his time, handily beating out such luminaries as H.P. Lovecraft and Robert E. Howard, and the Jules de Grandin stories are, in large part, the reason for that. Josh Reynolds is a freelance writer of moderate skill and exceptional confidence. His short fiction has appeared in such anthologies as Historical Lovecraft and Horror for the Holidays. Feel free to check out his take on the occult detective genre at http://royaloccultist.wordpress.com/ or visit his blog at http://joshuamreynolds.wordpress.com/. And, if you’re looking for more occult detective material in general, be sure to check out NAME OF A BLACK CAT!, Josh’s occult detective-themed Tumblr at http://occultdetectives.tumblr.com/. These have to be the most highly underated stories around. I have all the paperbacks from the 70s and if there was an Oscar for the most misleading and inappropriate covers for a series of books ever then they would have won it. (sorry Mr. DiFate. I still love them with all of my heart though. These are FUN stories , no doubt about it!! I have to take them in small doses, but I always return to them year after year after year. They deserve a much wider modern readership than they’ve had so far. I fully agree. Quinn’s were some of the most consistently entertaining stories to ever grace the pages of WT, back in the day. Like Wellman, he knew how to tell a good story, start to finish.